Loewe, a world leading manufacturer of TVs and related accessories, have recently announced that it is now possible to synchronise your individual hearing profile with your Loewe TV using Mimi Defined. 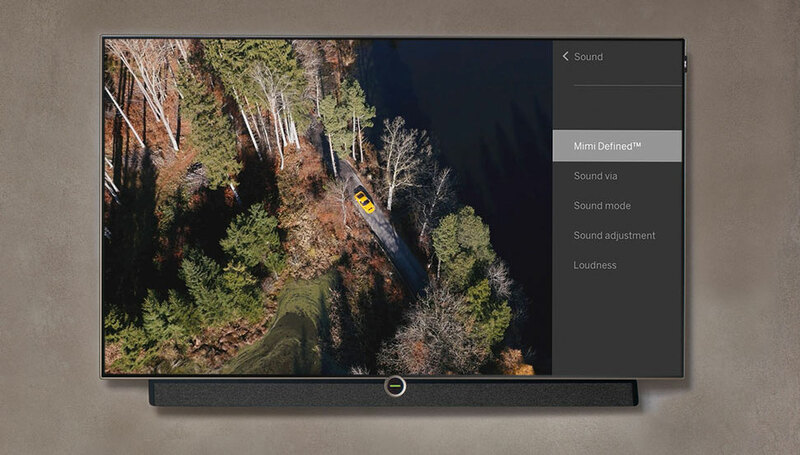 Mimi Defined technology was announced as being incorporated into Loewe TVs in the latter part of 2018 and is designed to provide improved audio. With Loewe’s most recent 5.1 software update, the technology now makes it possible to synchronise not one but three Mimi Defined audio profiles to a Loewe TV. Profiles are based on an analysis of your hearing using the Mimi Hearing Test app and adapt the TV’s sound to your personal hearing profile in real time. That allows you to hear the entire sound spectrum as intended for clearer dialogue and richer soundscapes. As of December 2018, three modes using Mimi Defined are now available for Loewe TVs with the company’s 5.1 software. A ‘user profile’ based on the viewer’s date of birth and a ‘group profile’ taking an average of a viewing group’s ages have been possible for a while. A new ‘Mimi profile’ has now been introduced alongside those, and it is this profile which utilises a specific analysis of your hearing using the Mimi Hearing Test app. This was previously only available via headphones but is now possible with speakers and the Loewe TV soundbar. If you would like to discuss your requirements for Loewe TV or home cinema solutions please call us on 0800 195 4825.